Click Google Preview button to preview. 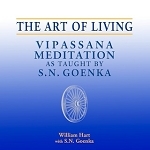 Discourses from the 10-day Vipassana mediation course are also available in many languages on CD and as streaming MP3 audio , and in English and Hindi on DVD. Despite sitting in several courses, every time one sits for the daily discourse - it is clear that the meaning and understanding gets deeper with new perspectives. The Discourse Summary hands down a guide for the practice through rest of our life! Going back to reading it adds another level of engagement of the mind with the Dhamma. I would highly recommend this book if you have a completed a 10 day course! The information is thorough and well said. The book can be read and digested in small portions. It is rich with information. Informative and refreshing . Valuable, I feel, for any Old Student . A must read for people who have sat through the 10 day course. An excellent reference for us who learn in layers to refer to. 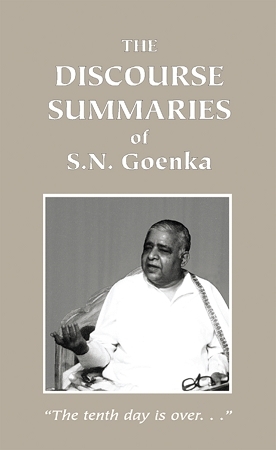 An essential resource for Vipassana meditators of all levels to reaffirm the fundamentals of what Goenkaji teaches. After 25+ years since my first course I find these summaries even more relevant to my practice. If you sat a course and benefited, this should be a MUST with The Art of Living. The beginning of a meditator's library. One of my first purchases.